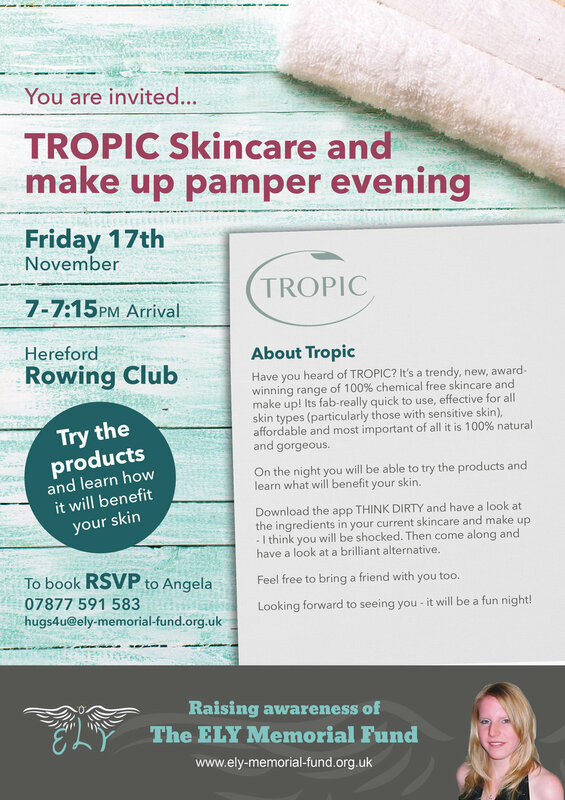 ELY have worked with TROPIC representative Alison Holmes to organise a TROPIC skincare and make up pamper party on Friday 17th November at the Hereford Rowing Club. TROPIC is a new, award-winning range of 100% chemical free skincare and make up! On the night you will be able to try the products and learn what will benefit your skin. It will be a fun night for all!